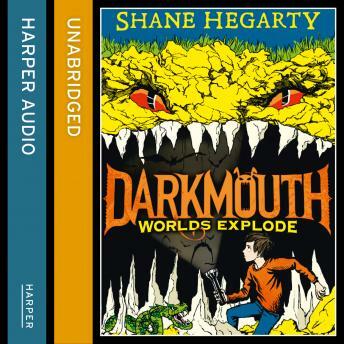 The second book in the monstrously funny and action-packed new series: Darkmouth. It's going to be legendary. On a list of things Finn never thought he'd wish for, a gateway bursting open in Darkmouth was right up there. But that's about his only hope for finding his missing father. He's searched for a map, he's followed Steve into dead ends, but found nothing. And he's still got homework to do. But soon Finn and Emmie must face bizarre Legends, a ravenous world and a face from the past as they go where no Legend Hunter has gone before. Or, at least, where no legend Hunter has gone before and returned with their limbs in the correct order.